Buying a used car can be stressful. You don’t know whether you’re getting a good deal or a damaged vehicle that won’t get you to your outing in Arlington safely. Fortunately, the large inventory of Certified Pre-Owned Volkswagen vehicles for sale at Alexandria Volkswagen makes it easy to enjoy a quality pre-owned Volkswagen vehicle for less and be sure you’re protected by one of the most comprehensive CPO programs in the business. Explore our selection below, then keep reading to learn why more Washington DC shoppers choose us over the competition. Why Buy a CPO Vehicle from Alexandria Volkswagen? 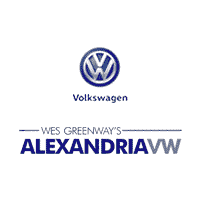 Find the right car for your active lifestyle at Alexandria Volkswagen and go with confidence!